"When I first started this course, I thought it would be boring. However to my surprise, I find it amazing. It made me realize that the little things in life add up. And I don't have to be sad for the rest of my life, not only that,,, I find when I utilize these precepts and virtues I can pass them on and help out the next person so they won't have to go through what I have been through." "Desde que me emborbi en el programa de Criminon yo e podido acomplejar siertas cosas que no conosia aserca del balor del ser humano. "In the Way to Happiness I learned alot about structure and morals. This course taught me not only to survive but to help others around me...it also taught me the importance of caring for my environment. I recently took a CCRI (Community College of Rhode Island) course just after completing the Learning Skills for Life lessons and I noticed an improvement in my abilities. Well, this lesson of Criminon helped me to learn some new techniques I could use when studying. The Barriers to Study are very important to understand, one misunderstood word could cause a student to "blow", give up studying the course at hand. Demo kits are good because they slow things down and you could use pen tops and paper clips to symbolize the actual things you are studying. "By completing this course of Learning Improvement I’ve been able to enhance my own learning capabilities by better understanding what it is that blocks us from learning what we read. "The Handling Drugs course was a wealth of very valuable information. "In this society, there is so much emphasis placed on Drug Treatment that is both costly and time consuming. I learned a lot from the Parenting Course. And even though I don’t have kids, I will be using the information I learned when I’m dealing with my nieces and nephews. "While I did The Way to Happiness Course I noticed that my way of thinking and the way that I carried myself could use improvement and with each course [lesson] my way of thinking became better. I soon found myself turning negative stuff into positive. "The Handling Suppression course has concretized my understanding of many individuals in my environment as well as myself. "It is because of this course I can say that yes, it is possible for a social personality to have a few antisocial attributes, thus taking a measured eye to determine whether a person is a social personality or an antisocial personality. "By taking and studying the Personal Integrity Course I have found ways that free me from self-guilt and learned what cause and effect my actions have on myself and others. "I feel that in doing The Way to Happiness Course I have found some things that I simply overlooked in the past. I always heard some of these basics, like not doing drugs, taking care of oneself, and treating others equally, but I really didn't apply them; I guess because I'm the type who has to make things complicated in order to live! 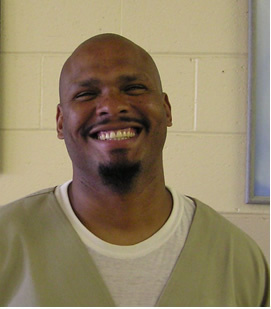 "At first I was somewhat skeptical of what I could get out of doing this Criminon program, but to my health, both physical and mentally, I really learned a lot! "This course gave me the right communication formula to successfully complete the cycle of communication. Also I learned how to have a two-way communication and avoid one-way, incomplete cycles. "I have learned how to better myself, how to look within myself, to continue learning about my recovery process. I've learned something from every course, most importantly the "Understanding and Overcoming Addiction course. Me, being a recovering drug addict, I got a lot from this couse. I've also leaned how to plan on continuing my recover out in society and how to make it a way of life. I will continue to build a better foundation of success for myself. Had I had this information sooner in my life, I am positive my life would not be anything like it is at this point in time! But rest assured the lessons gleaned in these studies will not go to waste in the least bit! I feel that I myself am a powerful advocate when it comes to applying myself and reaching out to others to share what I’ve learned and I have learned much to share here! "The Criminon courses are a valuable tool for anyone who takes them! "They can help in so many ways. Not only do they put you on the right track, they also help you to see the positive things in your life. "The "Conditions of Life" course was very useful. For the most part, this course helped to make me aware of "current status" in conditions of every day existence. "If I’m being productive, if I’m being detrimental to my situation, if I’m advancing and so on. "I finished the Virtues part of Criminon today. "Knowing that my actions not only have an effect on my physical but also my mental and emotional well being. "I feel I learned a lot by taking the handling drugs course. It has taught me the many ways drugs are bad for my physical and mental well being. "This course had a tremendous effect on me in its breakdown and explanations of how even the smallest wrongdoings to others can adversely affect and damage relationships - personal and professional - by explaining how this happens the success and positive impact of this course is its guide to future prevention of such harmful acts. 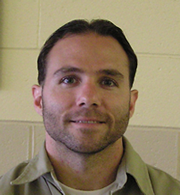 "Kevin has been commended for his continued assistance to the Criminon class. Every week since becoming a porter in the Education Building he has come to our classroom to make sure that we have everything that we need to conduct our class... He is a valuable asset to our program. "What I learn(ed) in this Criminon Program. So far I've learn(ed) how to stay happy and how to treat others. I've learn(ed) that life is a valuable thing and it is a shame if I let it go to waste. This course replaces the "criminal code of conduct" by teaching common sense values that anyone can use to live a stable and productive life and, most importantly, to regain and maintain self-respect. 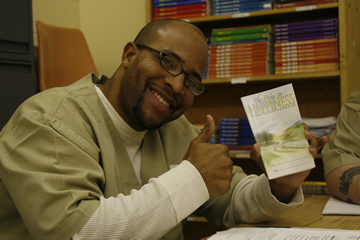 "The Way to Happiness course is one of a few courses offered to inmates that actually makes sense. I've discovered that just by applying the precepts (in the course) to my life, change is inevitable. "I thank you all in Criminon for giving me a chance to change my ways. I learned to respect myself as a person is supposed to be respected. "After completing this course I felt very enlightened by the lessons I came across in the booklet "The Way to Happiness". Being in jail I have really applied the section of respect other's religious beliefs. "Personal Integrity has been an asset and help to my lifestyle, it is one of my favorite courses. "It has taught me moral codes within a group, why and how people use justification.
" For all of my adult life I have been searching high and low for a common sense philosophy to help me live life on life’s terms. Let’s face it, my thinking got me where I am today -- in prison. Through Criminon’s The Way to Happiness course, I have found a blueprint which has helped me recover my self-esteem, and I have every reason to believe my life will continue to get infinitely better because of it. "I've learned that over the course of this program that change is possible, I've learned that by following the precepts throughout The Way to Happiness booklet you can make positive changes in your life. "I have learned how to put my own ethics in and the states of operation a person goes through. I am glad that I took this course. It makes me feel better and makes me more aware of my surroundings."